Continuing Education Units for RNs, LVNs, Psych Techs and Others. Continuing Education for Healthcare Professionals | ClickPlayCEU / Finally, a fast and easy way to get your Continuing Education Units online (and have fun in the process). Finally, a fast and easy way to get your Continuing Education Units online (and have fun in the process). Join hundreds of other healthcare professionals who have overcome the boring, tedious and cumbersome process of getting your Continuing Education with ClickPlayCEU’s entertaining video courses that help you get your CEUs FAST and have FUN doing it. Get your CEUs by watching videos that are educational and fun at the same time. Fun? How could continuing education be fun? You’d be surprised. Are you in a hurry? Access and print your CEU certificate instantly after completion of your course. Watch your continuing education videos on your bed, your couch or even on the go! Courses are certified in all 50 US states, so you can access us no matter where you live. Created by Donn Kropp, an accredited and award-winning RN and medical consultant with over 10 years of emergency and trauma room experience. We are committed to providing you a high-quality continuing education experience that will help you to do what you do best – save lives. If for any reason you don’t absolutely love the courses that we provide on ClickPlayCEU, drop us an email at info@clickplayceu.com within 90 days of your date of purchase, and we’ll give you a full refund, no-questions-asked. Only $9 per credit hour. Perfect for those looking to get those last CEUs. Pay only for the CEUs that you want. Course certificates instantly available upon course completion. Go at your own pace with our content available online 24/7. Access completed courses and certificates in your account. Perfect for those looking for a one stop shop for their CEUs. Access to ENTIRE library of video courses. Perfect for corporations to help their employees get a high-quality education. Why are your courses so awesome? Because we spend a lot of time and effort bringing you the awesomest classes possible. Why should I get an All-Access Annual Pass? We want to provide you with the most value possible and if you get an All-Access Annual Pass, it opens up the entire course catalog at an extremely low cost. Plus as a bonus, we’re giving you all future courses that we roll out absolutely free. Only available to those that have the yearly subscription to ClickPlayCEU, but if you do not have one you can still purchase upcoming courses individually. Can I preview any of the courses? Yes, courses have a couple lessons with videos you can watch to preview the courses. Feel free to check them out on the Course Page. There’s a test at the end of every course. Once you pass the test with a 70% or greater and fully complete all the lessons in the course (pressing the complete button for every lesson), you can then get your certificate and print it out, instantly! How many times am I allowed to take a test if I fail? You may take the tests for a course as many times as you like. We know you are smart and it will probably only take you one time. What governing bodies/organizations are you approved by? Is it safe to make purchases from your website? Absolutely. Our online purchasing is 100% secure. We employ the latest Secure Sockets Layer (SSL) protocol to process all orders and ensure your data is encrypted while it is transmitted over the Internet. Furthermore, we do not store your credit card information. 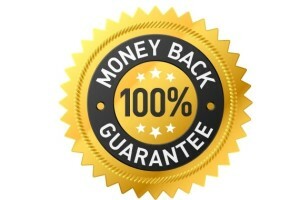 We can’t imagine that you would want a refund but in the case that you are dissatisfied with our services we will be happy to provide you a 100% refund within 90 days. Don’t worry, we will still love you. Subscribe to our email list and get the latest updates!